Umbilical cord blood has an important and growing role in the treatment of leukemia, lymphoma, sickle cell anemia and other life-threatening diseases. In fact, more than 25,000 patients around the world have received cord blood transplants because parents have generously decided to donate their baby’s umbilical cord blood to a public cord blood bank. 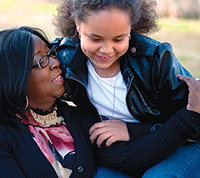 We have more than 295,000 cord blood units listed on the Be The Match Registry®. Cord blood is one of three sources of blood-forming cells used in transplants. The other two sources are bone marrow and peripheral blood stem cells. 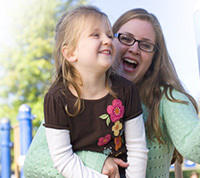 Every family who donates their baby’s umbilical cord blood after birth gives hope to patients. It’s free and safe for the mother and baby. Blood is collected from the umbilical cord – not the baby – immediately after birth. The donated cord blood is tested, frozen and stored as a cord blood unit at a public cord blood bank for future use. It can then be listed on Be The Match Registry and is available for searching patients. Names of cord blood donors are never shared so donation is completely anonymous. Cord blood is being used for more patients, both children and adults, although it’s used more often in children. This is because a cord blood unit has a limited number of blood-forming cells. 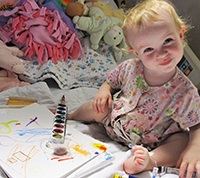 Smaller patients, like children, usually will receive enough cells from one cord blood unit. 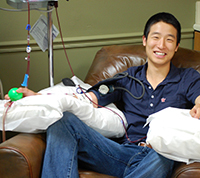 Larger patients need more cells and will sometimes receive two or more cord blood units combined. Cord blood doesn’t have to be as closely matched to the patient as a marrow donor, so it may be an option for patients with uncommon tissue types. Cord blood units are stored and ready to use, so it’s quickly available when a patient needs a transplant right away. Studies have found that a transplant complication called graft-versus-host disease (GVHD) is less common and less severe after cord blood transplant than after a transplant using peripheral blood stem cells (PBSC). If you are expecting a baby or know someone who is, learn if you can donate your baby’s cord blood to a public cord blood bank to give hope to patients.